Have you been longing lasting manicure free of chips, nicks and smudges? Well we have it! Get Shellac'd! The new revolutionary gel polish, its quick and easy and your polish will last up to 14 days. 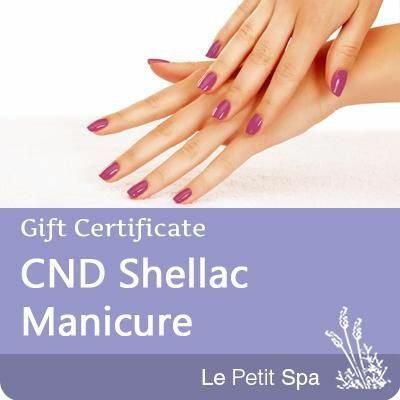 The best part is you can leave the spa with dry nails, no more smudges or accidents.